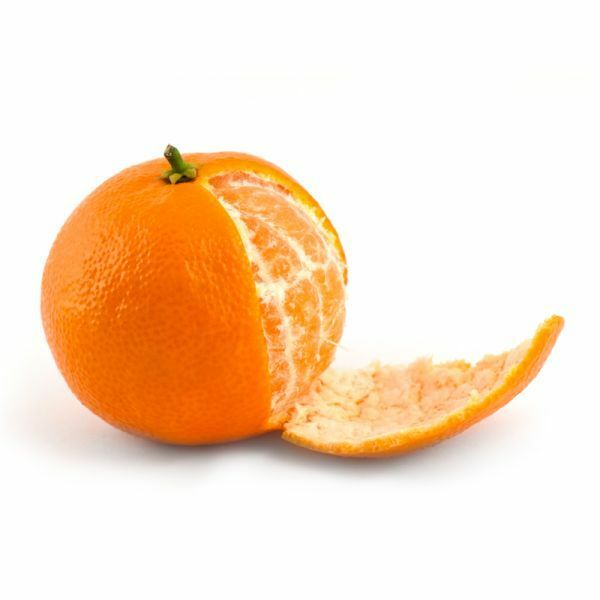 A hybrid Mandarin variety cultivated in the Mediterranean region, Clementine fruit closely resembles a larger Tangerine, with a distinctly tart taste. The fruit is seedless, easy to peel and notably juicy. 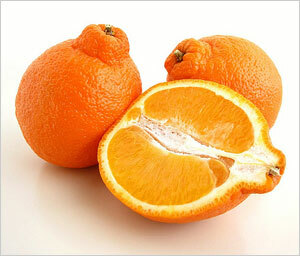 Smaller than most other varieties, the Dancy fruit is popular for its sweet, delious and easy to peel characteristics, as best recognized under its commercially marketed “Cuties” name. Dancy Mandarins mature into a moderate and sometimes large tree, however they can be pruned to a smaller size or grown in a container. The Honey Murcott is often considered to be the best-tasting of all varieties, with flavors reminiscent of honey and cinnamon. Not typically found in grocery stores, the Honey Murcott fruit is an ideal variety to be grown for personal consumption. The Minneola Tangelo is a cross between the Dancy Tangerine and the Pomelo. Its fruit is seedless and easy to peel, making it a convenient and delicious snack. Minneola Tangelos can be substituted in recipes that call for oranges, including baked goods and vinaigrettes. Similar to the Pixie variety, the Golden Nugget Tangerine produces sweet, seedless and exceptionally juicy fruit that is also visually distinct with a thick, bumpy rind. Developed at the University of California, Riverside in the 1950s, it was released in 1975 to an instantly receptive regional market. Like all other citrus, Pixie Mandarins take an entire year to evolve blossoms into delcious, ripe fruit. Pixie Mandarins are the development of the University of California, Riverside, where they were first created in 1927. The university released the variety in 1965, and has been a popular hit throughout Southern California since that time. A seedless Tangerine variety, the fruit of the Satsuma Mandarin is mainly used for canning, but is quickly gaining popularity as freshly-picked choice across the U.S. Easy to peel with a rich orange/deep red pulp, the Satsuma fruit has a sweet, slightly tart taste and captivating aroma. This new hybrid citrus variety was developed by the University of California, Riverside, and yields a completely seedless fruit. Tango Tangerines are great for juicing, can be used in baking or syrups, and are highly enjoyable as a fresh-picked snack. Packed with Vitamin C, the Tango Tangerine is also a great source of dietary fiber. The Page Tangerine produces a seedless, notably juicy, low-acidity and extremely sweet variety. Rounded and flattened in shape with a thin, medium-orange hue, it also has a tightly zipped rind. Ripe from late winter into early spring, Page Tangerine fruit has an ideal balance of acidity and sweetness, making it suitable for fresh-picked eating and cooked preparations. Smaller than a golf ball but exceptionally easy to peel, the seedless Kishu Mandarin fruit is tender, juicy, fragrant and sweet. 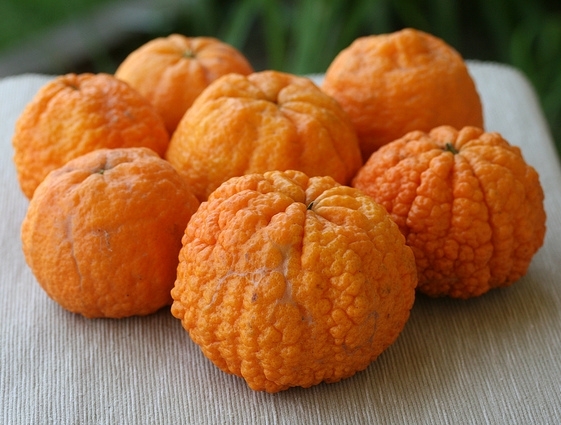 It is derived from an ancient group of small-fruited Mandarin varieties that originate from China. While the Kishu Mandarin has been present in California for more than a century, its commercial cultivation did not begin until 1997.